Boeing has experienced a rearranging of the astronauts assigned to Starliner’s first crewed flight. Boeing’s Crew Flight Test 1 is currently scheduled to take place in August of this year (2019). The crew for that mission was set to consist of NASA astronauts Eric Boe and Nicole Aunapu Mann as well as former NASA astronaut Christopher Ferguson (who now works for Boeing). 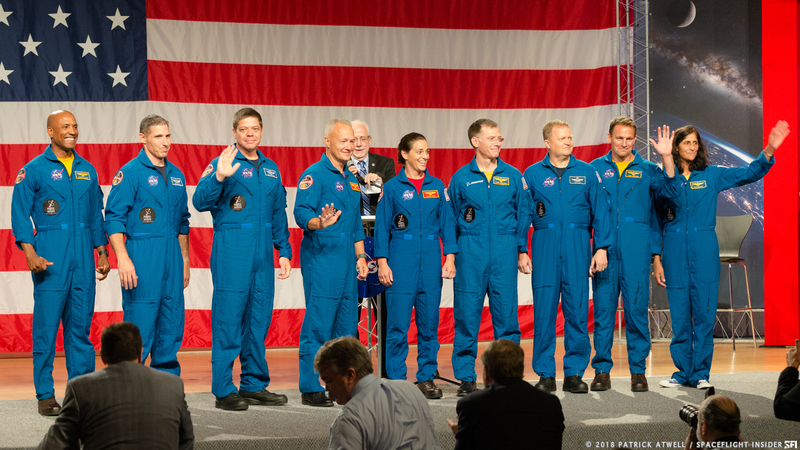 Boe and his crewmates had been assigned to the Boeing CST-1 in August of last year (2018). It was announced on Tuesday, Jan. 22 that Boe is unable to fly due to unspecified medical reasons and has been replaced on the mission by three-time spaceflight veteran Michael Fincke. The change in the crew lineup will, essentially, be a swap-out between the two astronauts. 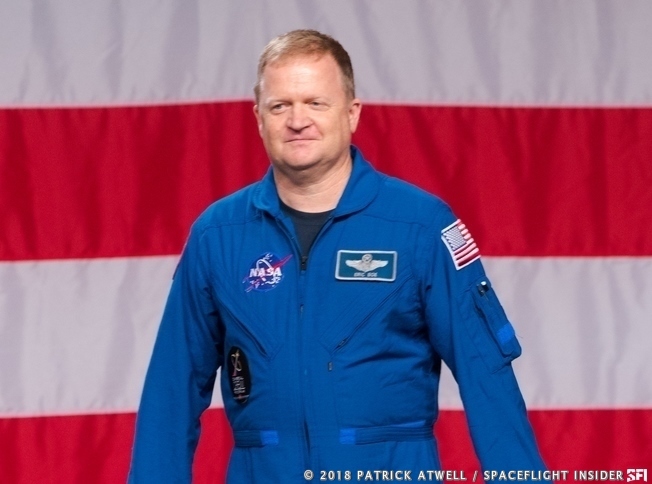 Fincke will take Boe’s seat on Crew Flight Test 1 and Boe will assume Fincke’s role as the assistant to the chief for commercial crew in the astronaut office at Johnson Space Center located in Houston. Fincke’s has an extensive array of experiences from his time in the United States Air Force as well as with NASA. Fincke was a distinguished Graduate from the USAF R.O.T.C. Fincke was assigned as a Flight Test Engineer to Eglin Air Force Base in Florida where he flew both F-15 and F-16 fighters. He was selected to the Astronaut Corps in April of 1996. After completing two years of training at NASA’s Johnson Space Center, Fincke served in a myriad of roles such as CAPCOM for the International Space Station, as well as backup crewmembers for Expeditions 4, 6, 13, and 16. He went on to serve as Flight Engineer on Expedition 9 in 2004, and as the commander of Expedition 18 in 2008. Fincke’s last ride to orbit was aboard Space Shuttle Endeavour for STS-134, where he served as Mission Specialist 1. Fincke has spent more than a year (382 days) in space and conducted nine extra-vehicular activities. Eric Boe also has a diverse background in terms of spaceflight and aviation. Boe served in the United States Air Force and has logged more than 6,000 total flight hours in over 50 different types of aircraft. He was selected to join NASA’s Astronaut Corps in July of 2000. He reported to NASA’s Johnson Space Center a month later to begin orientation and training. Boe would later go on to fly as pilot for both STS-126 (Endeavour) and STS-133 (Discovery). Boeing’s offering under Commercial Crew is the CST-100 Starliner. The capsule-shaped spacecraft resembles the Apollo Command Module that was used during the late 60s and early 70s. Boeing suffered a delay in June of last year when one of the abort engines provided by Aerojet Rocketdyne leaked highly-toxic hydrazine during a test as was noted by GeekWire’s Alan Boyle. When Boe was named back in 2015 he must have thought he’d have flown by now. His misfortune is Fincke’s good fortune. But at least the post-Shuttle gap was recently ended by Virgin Galactic pilots Mark Stucky and Rick Sturckow, a former NASA astronaut, even though NASA barely acknowledged their launched-from-America triumph. All that Boeing has to do now is beat SpaceX to the ISS. Boe was selected as an astronaut in 2000 and has flown into space twice on STS-126 (Endeavour) and STS-133 (Discovery). https://www.nasa.gov/astronauts/biographies/eric-a-boe/biography During the Virgin Galactic test you mentioned the VSS Unity reached an altitude of 51 miles (82.68 km), which isn’t even to space (62 miles / 100 km) this is known as sub-orbit. By comparison, the space shuttle traveled to an altitude of about 260 miles (418 km) – which means the shuttle was in orbit. The post-shuttle gap has not ended.